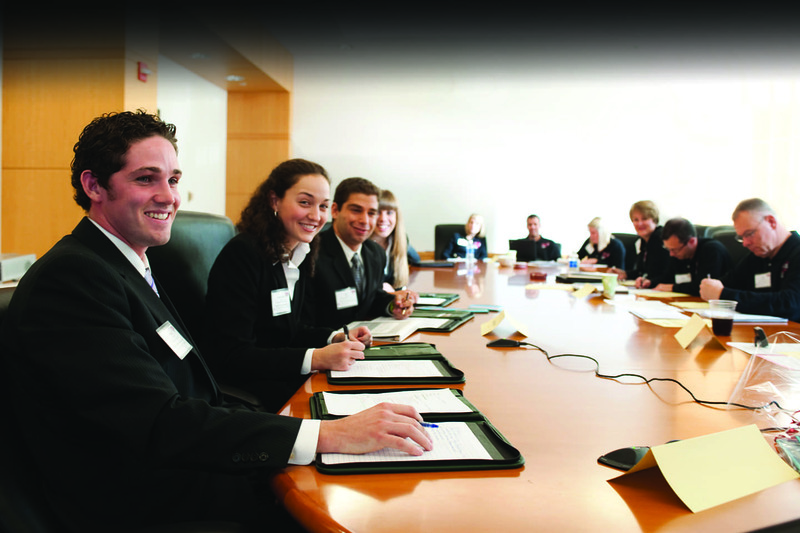 The College of Communication Arts and Sciences’ Executive Education/Professional Development Program is designed to train today’s executives in the latest communications techniques for the workplace and their business. The program is seminar based and taught by world class faculty – leaders in communication education for over 50 years – helping executives take a step back from daily responsibilities and reset career goals and direction. In each session, we’ll work hand in hand with you and your employees to boost effective communication in the workplace. Executives will leave this program re-energized, with a new perspective on their strengths and weaknesses, and new communication skills that will drastically change your company’s work environment for the better. In the 21st century workplace, the leader and manager’s first goal should be to provide a system of communication that reaches every member or contributor to the organization. Communication is key to an effective and efficient workplace. Through communication, well-crafted messages are sent through a variety of channels, relationships are formed and maintained, conflict is mediated and resolved, workers are motivated and satisfied, new markets are explored and outcomes are maximized. The executive education/professional development program in the College of Communication Arts and Sciences at Michigan State University is designed to train today’s executives in these exciting communication techniques. The program is taught by experienced faculty with over 50-years of experience. In every seminar, we'll work hand in hand with you and your employees to boost effective communication in the workplace. Executives will leave this program with a new perspective of communication styles that can drastically change a company’s work environment. This program is designed for mid- to upper-level managers who want to understand how to manage and mitigate conflict in the workplace. In addition, this course will assist managers in identifying the tendencies of an individual’s decision making in groups and how to avoid a conflict when there are opposing opinions. This program is designed for mid- to upper-level managers who want to understand the best-practices for creating and enabling effective and efficient teams within their workplace. A 4-step approach to teamwork and team-building will be discussed to help facilitate a culture of teamwork. This program is designed for mid to upper-level managers who want to identify the communications styles of effective management and leadership with added content on how to interpret verbal and nonverbal messages. This program is designed for mid- to upper-level managers determined to gain or enhance the communication skills needed to give quality performance reviews to employees. This program will enable participants to effectively communicate to employees what they are doing well and where they need improvement.